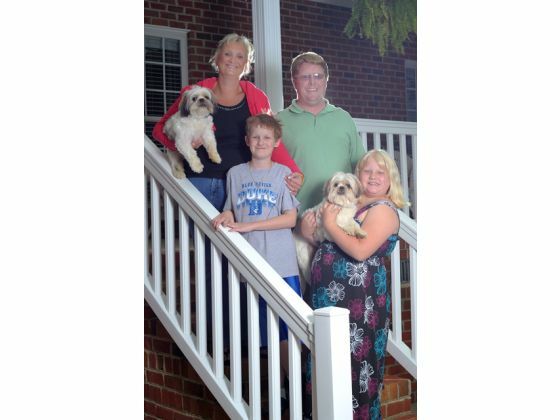 As you may recall, Alex Ingle is a 6th grader at Burlington Christian Academy in North Carolina. 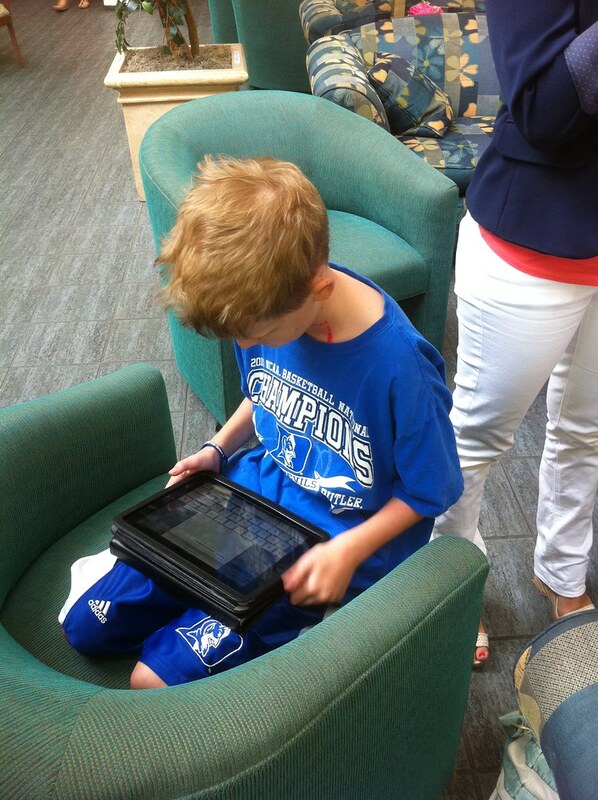 He receives treatment for his cancer at the MD Anderson Cancer Center in Houston. 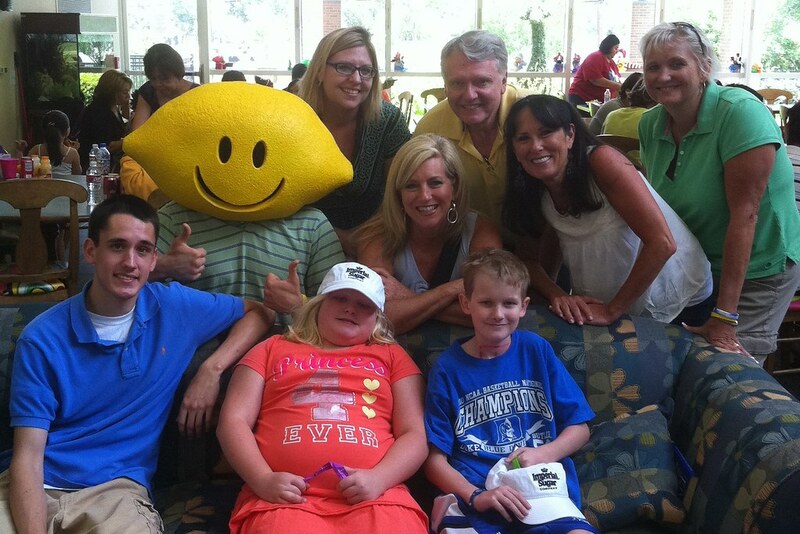 With our headquarters located in Houston, Lemonade Day contacted Ms. Ingle to check if Alex was in town. Luckily, he was! With the help of the Ronald McDonald House, we were able to set up a time to meet with the Ingles before they left for the airport. Ronald McDonald House intern, Nicole, even took pictures of the whole event. Imperial Sugar showed up with t-shirts and other goodies for the whole family! 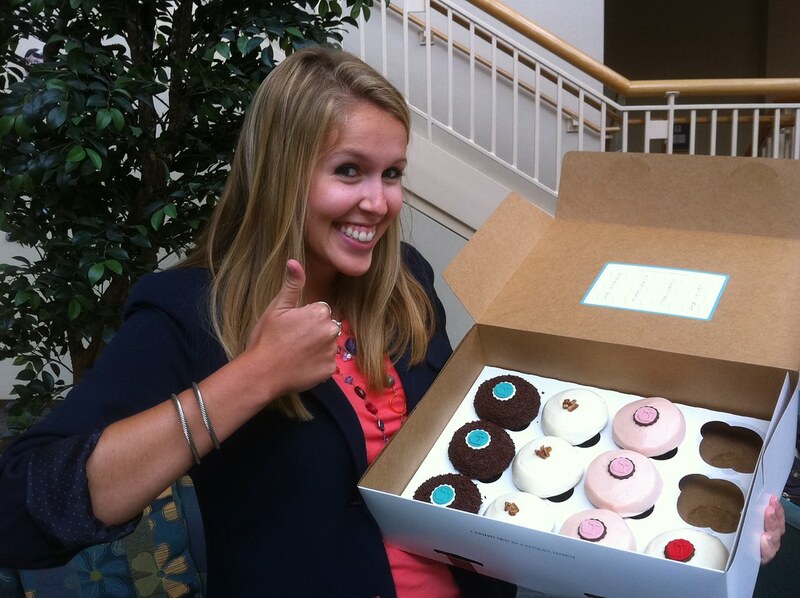 Crave Cupcakes was generous enough to donate dozens of cupcakes for everyone at Ronald McDonald House! 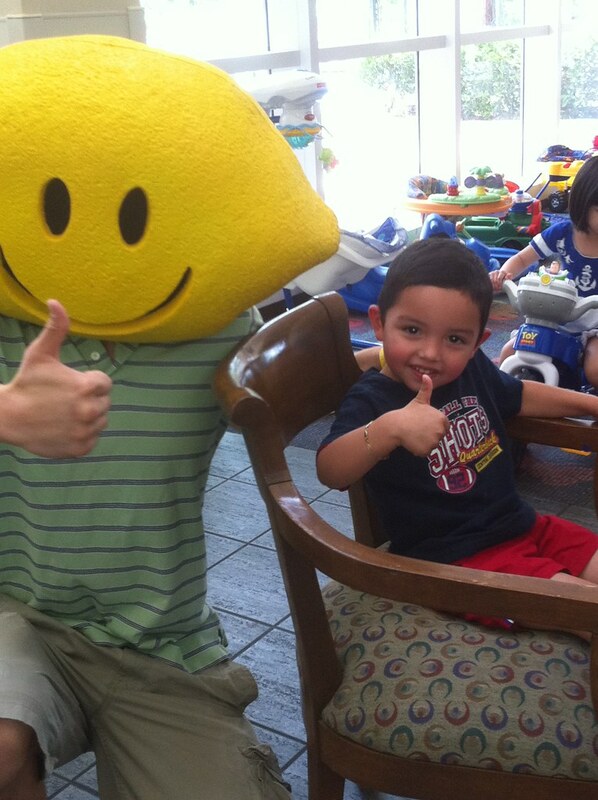 Even Lemon Head was there to meet Alex and play with all of the children at Ronald McDonald House. 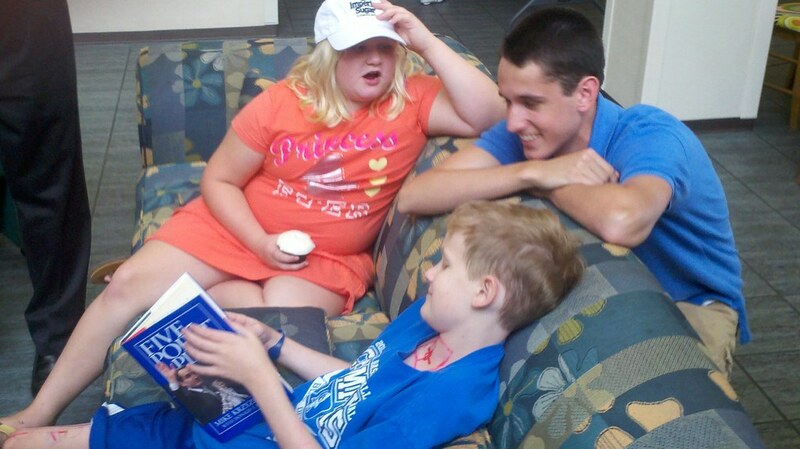 Decked out in Duke gear from head to toe, Alex was thrilled when he received a Duke University basketball book from Lemonade Day. Thank you to everyone who helped and gave support to Alex and his family. It was truly a special and memorable day for everyone involved. Alex will be back in Houston for more treatment in September. Sharing all your tweets, posts and comments with Alex! 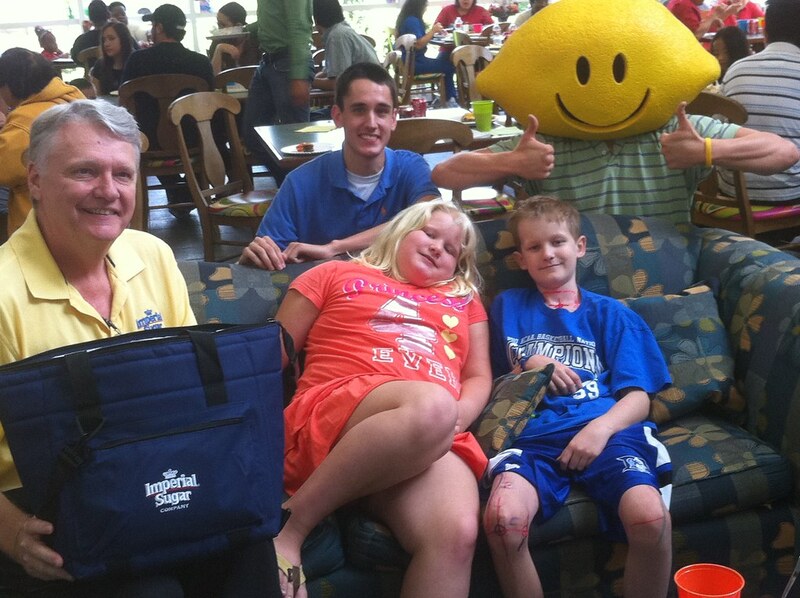 Clark set up a lemonade stand at a baseball tournament last year during Austin’s first Lemonade Day. He earned more than $100! And he generously gave half his proceeds to the Ronald McDonald House. Check out what Clark has to say about the experience.